Even for non-brides, Sir George Salon is already a great choice when it comes to beauty services. That’s because it offers a lot of affordable services and packages that can cater to any budget range. And for soon-to-weds, things are even better with its wedding package. For as low as Php15,000, you may already take advantage of its Wedding Package. Every member of Team Sir George Salon has received enough training, so they definitely know what to do to help clients achieve their beauty goals. Apart from that, they also have ample amount of experience, so they can work even under pressure. Just imagine what these talented and reliable individuals on your wedding day. Afraid of taking so much time to get ready on your wedding day? 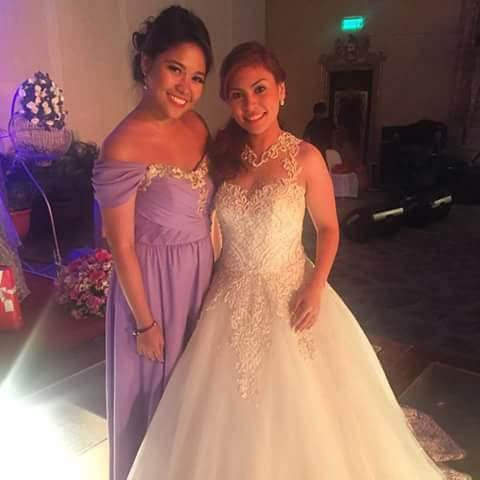 Of course, members of the Team Sir George Salon knows that every second counts when it comes to your wedding day. The good news is that each of them is very time-efficient. As mentioned earlier, they can work so well even when under pressure. Sure, you will be in good hands if you choose Team Sir George Salon. So go ahead and check its profile now to get to know more about its services.